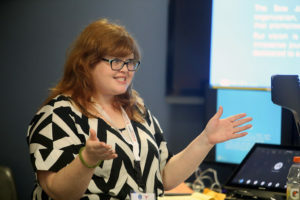 Beth Butler and Bradley Wilson served as co-directors of the workshop with assistance from Clare Boyle, administrative manager of the UT School of Journalism. 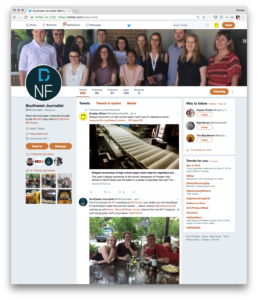 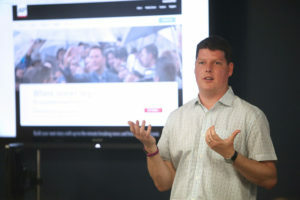 Faculty included George Sylvie, associate professor at UT-Austin; Mark Grabowski, associate professor at Adelphi University; and Heather Taylor, manager of digital media programs at the News Fund in Princeton, New Jersey. 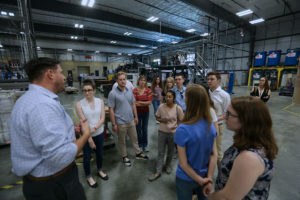 And visited Corrie MacLaggan and staff at the Texas Tribune. 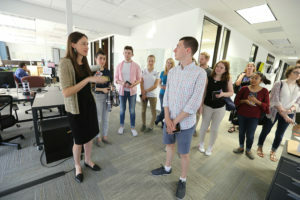 “It was great to see young, lively newsroom and a non-profit that’s growing. 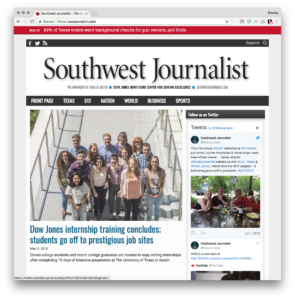 I wish I worked there,” said one of the interns in an informal evaluation. 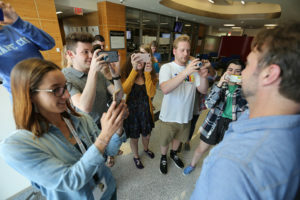 “It was nice to see a newsroom doing something so different and still succeeding,” said another. 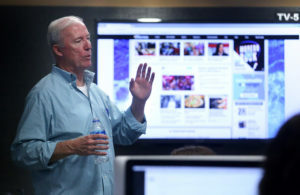 Guest speakers included Dan Cunningham, retired senior editor of the Houston Chronicle; and Will Weisert, Associated Press Austin Bureau chief. 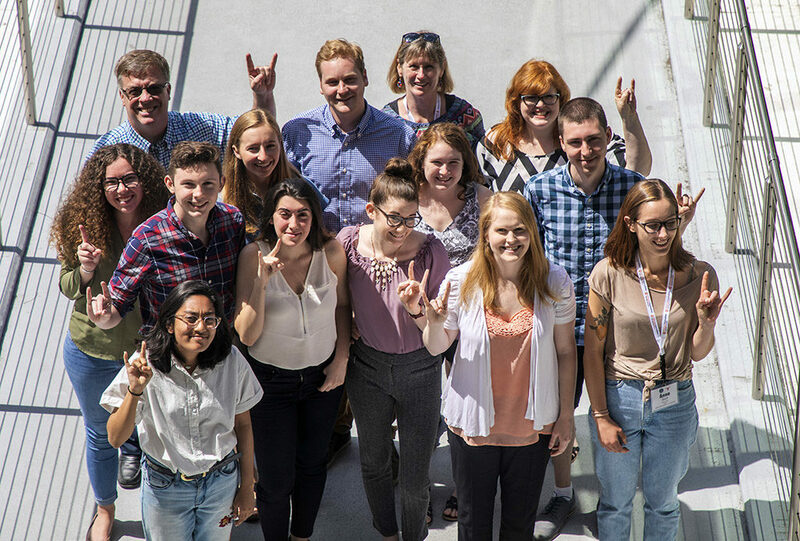 Dow Jones interns visit with Corrie MacLaggan at the Texas Tribune.